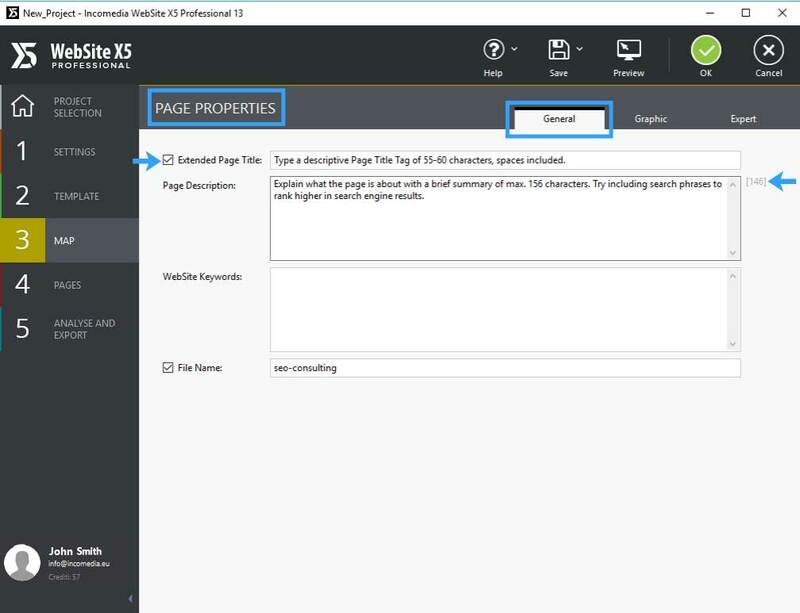 Learn how to manually set Page Title and Description Tags with WebSite X5 SEO features. Manual Mode can help you enhance pages optimization and ranking in search engine results. 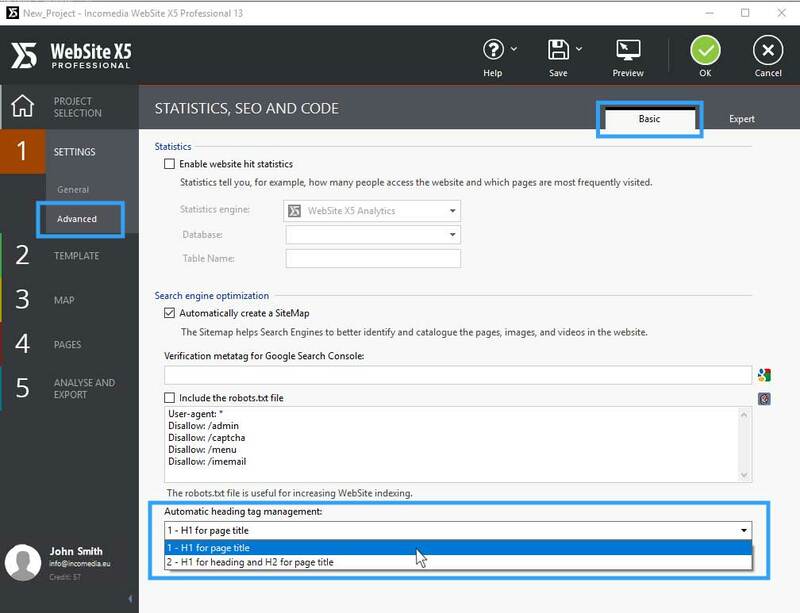 If you prefer not to use the manual optimization mode, keep in mind that you can take advantage of WebSite X5 Automatic heading tag management option (see Step 1 - Settings > Advanced > Statistics, SEO and Code from the Online Help). 1. Go to Statistics, SEO and Code from Step 1 - Advanced Settings. 2. From Automatic heading tag management, choose option 1 - H1 for page title to activate the manual heading tag management. 3. Now from Step 3, select the page you want to get optimized and click on Proprierties on the right column. 4. From General tab tick Extended Page Title to add your text in the Page Title Tag field. You should write titles of maximum 55-60 charactes (spaces included). 5. In the Page Description box add a summary of the page content no longer than 156 characters. The counter helps you take note of the lenght of your text. Want to see how your page will gonna look like in the Google search results? Visit portent.com and add your text in the Title and Meta Description box to get a preview and see what users will see.